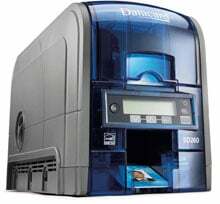 The SD260 card printers deliver the New Look of Leadership with outstanding print quality, reliability, easy operation and efficiency in a small footprint. The best card issuance value on anyone"s desktop. 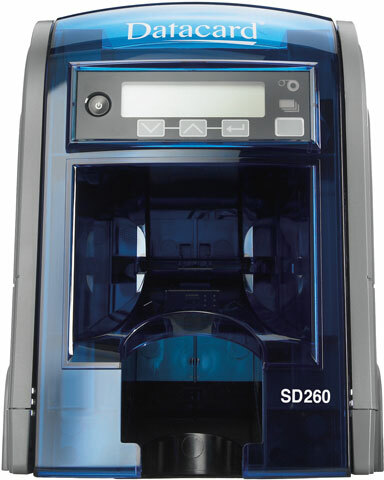 The SD260 one-sided card printers are packed with industry-leading innovations that make desktop ID card printing simple and economical. SD Series printers are ideal for small- to medium-sized businesses, schools, hospitals, fitness clubs and anyone who prints ID cards as part of their busy workday. With their competitive features and price, SD Series printers are a great value. Cleaning Swab (5 Pack) (Isopropanol saturated cleaning swabs for cleaning debris & dust from printheads & hard to reach internal printer areas. This item replaces the previous cleaning pen.). 36 Month Post Warranty Depot Contract for SD260 ID Card Printer, provides Toll-free, 24/7 access to customer support, Technical phone support for hardware, 5-day (Excluding weekends and holidays) turnaround time from receipt of failed printer, with ground return shipment method. Post warranty service contracts must be ordered 30 days before the end of the warranty period. 12 Month Post Warranty Depot Contract for SD260 ID Card Printer, provides Toll-free, 24/7 access to customer support, Technical phone support for hardware, 5-day (Excluding weekends and holidays) turnaround time from receipt of failed printer, with ground return shipment method. Post warranty service contracts must be ordered 30 days before the end of the warranty period. 36 Month Rapid Replacement Warranty Upgrade for SD260 ID Card Printer, provides Toll-free, 24/7 access to customer support, Technical phone support for hardware, Next day (Excluding weekends and holidays) turnaround time from receipt of failed printer, and Air return shipment method. Post warranty service contracts must be ordered 30 days before the end of the warranty period. 24 Month Rapid Replacement Warranty Upgrade for SD260 ID Card Printer, provides Toll-free, 24/7 access to customer support, Technical phone support for hardware, Next day (Excluding weekends and holidays) turnaround time from receipt of failed printer, and Air return shipment method. 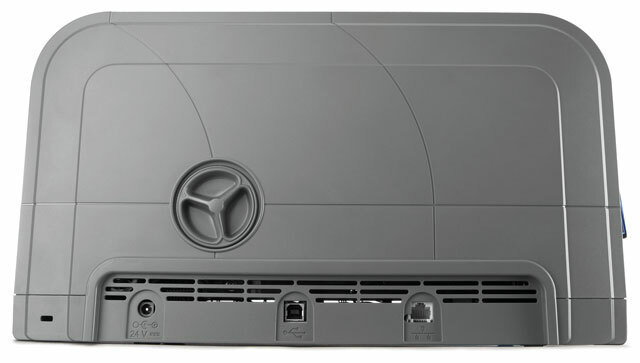 Post warranty service contracts must be ordered 30 days before the end of the warranty period. Printer Refresh for SD260. A one time refresh of the printer, recommended at 50,000 cards, performed at a Datacard repair facility. Includes ground transportation both ways. Refresh will be completed within 10-days of printer receipt at Datacard repair facility. 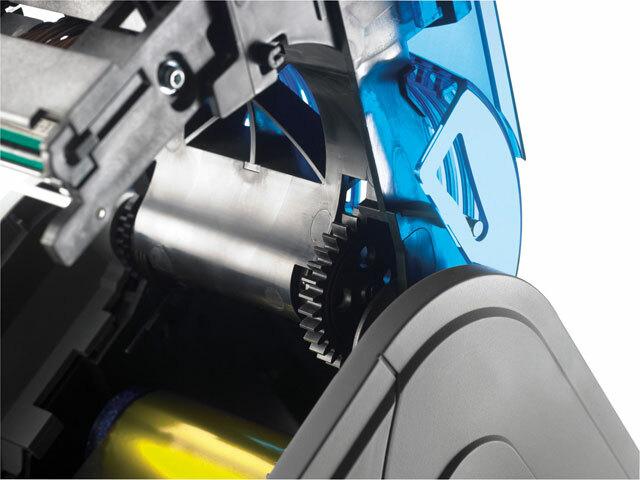 Refresh Includes: perform visual inspection for defects, update firmware to newest revision, replace all belts, calibrate printhead offsets calibrate printing registration, adjust color settings, clean all sensors, clean platen and idler rollers, replace drive / feed, rollers, replace or upgrade gate roller, lubricate recommended points, test all functions and options, perform endurance test, and provide card quality proofs. 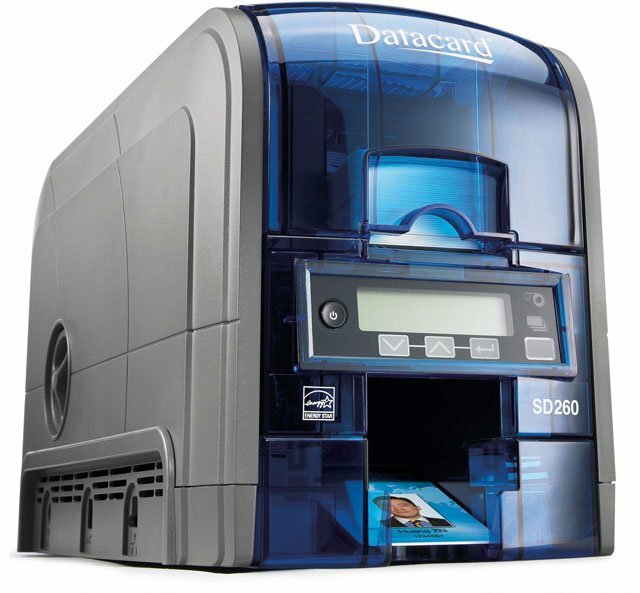 The Datacard 535500-004 is also known as Data Card	DCD-535500-004	or 535500004	.